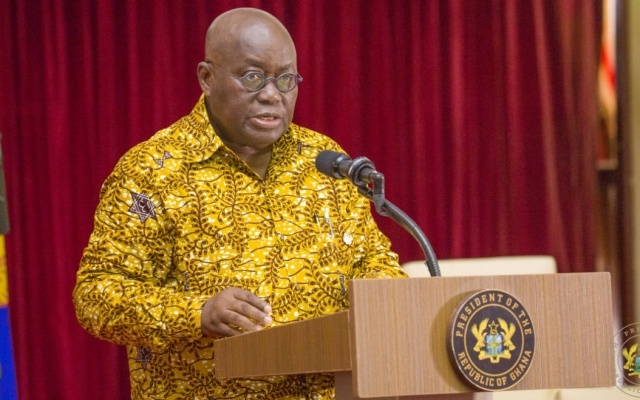 President Akufo-Addo has said threats by some illegal mining operators that they will vote against him in the 2020 elections cannot stop his fight against the galamsey menace. 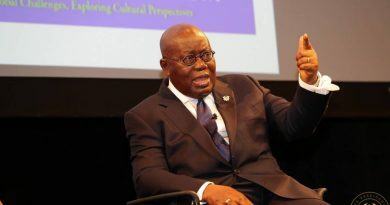 “I have been told some of the people engaged in illegal mining have threatened to vote against the NPP in 2020 if I crack the whip on the culprits. I am more concerned about fulfilling God’s purpose and devising measures to propel the nation’s development. That’s my focus and not election-related issues. “Things we must do to propel development are the things I am concerned about. Our forefathers left us the natural resources. 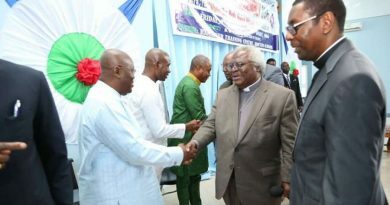 If we can’t protect them, then we should leave them for future generations,” the President said at Soabe in the Eastern Region Wednesday. He continued: “I haven’t said that I am going to stop mining. Mining has been done for decades in this country by several generations. I am only saying that I am against those mining without legal backing. Illegal mining, that is what I am against. Today, Kyebi, Abirem, it’s a sad sight to behold. Mining along the water bodies cannot continue if we want to preserve nature and our system”. The government is on a campaign to rid the country off illegal mining which is fronted by Chinese nationals residing in Ghana. A three-week ultimatum given by the government for the illegal practice to cease has expired. However, a 40-day window period has been allowed for the miners to move their machines from the various sites.